these four t-shirts for Carlota. She chose the animals. 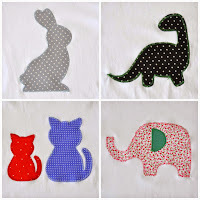 that I had sewed appliques with sewing machine. I still have to practice a lot this technique! and I think that is good. Also I sewed a aplique for me. to half centimeter of the edge. And the postman takes me two packages Monday morning! My own gift birthday! Yeeeeesssssssss!!!!! soon I come back to make crochet! it is amazing! Thanks for your visit, my lovely readers. and you makes me always happy. 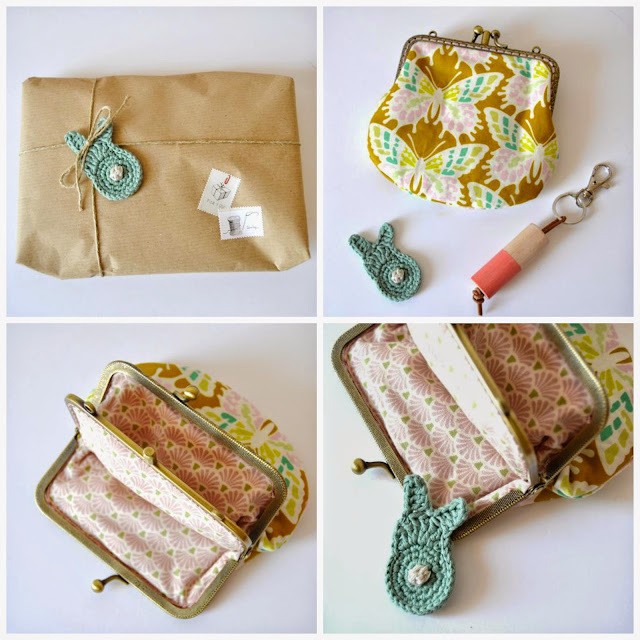 and full of nice things! love your t-shirt with the star!!! Such cute applique! Aren't little girls just thrilled with the stuff we make for them? Carlota will get so much fun from those four shirts. LOVE the new hooks. I just got two new sets too. One bamboo that I just adore the way it feels in my hand. May your summer be as cheerful as your blog always is. 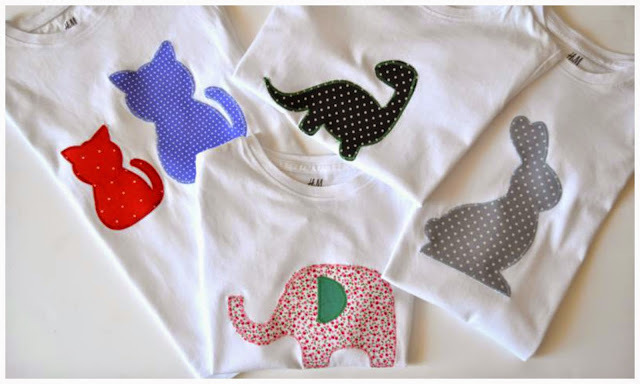 Such adorable appliqué creatures, they look wonderful on the t shirts! Que contenta deu estar la Carlota amb les seves samarretes d'animalets, i m'agrada molt la teva de l'estrella! Els ganxets xulíssims, i el moneder també, quina il·lusió quan el carter et porta cosetes :) I per cert, ja veig que vaig tard per a felicitar-te pel teu aniversari però, de totes maneres, felicitats!